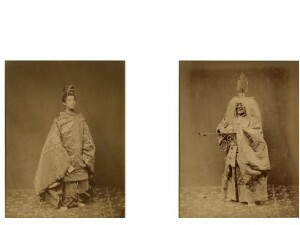 Description: Pair of photographs of identified Kabuki actors in great costumes. 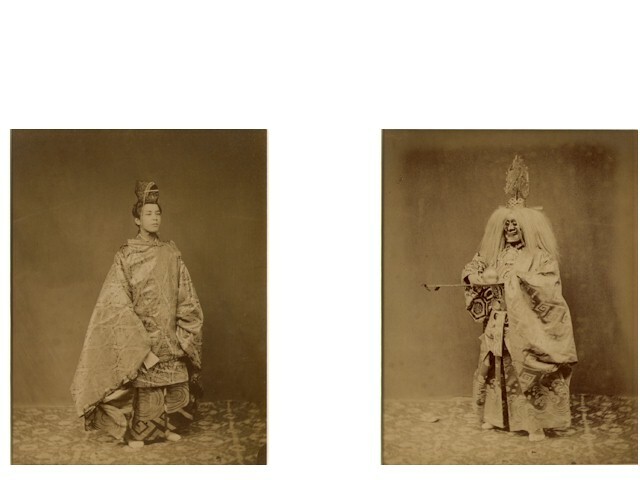 Left image has diagonal fold above man’s head. Archivally matted.